Allergic reactions are responsible for many skin rashes. Persistent undiagnosed allergic rashes may recur and persist for years until a patch test detects the underlying cause of the rash. Allergic rashes may cause suffering and diminished quality of life. Often, the allergic skin rash condition can be effectively treated once an accurate diagnosis is made by the dermatolgist and patch test expert. 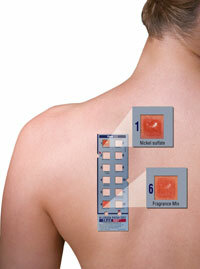 Patch testing with 28 antigens is a mini patch test available with dermatologists. The Skin Center offers the most comprehensive and thorough panel of patch tests with 63 antigens. Patch testing is a simple, painless, needle-free advanced test to help you and your dermatologist identify the exact cause of your allergic skin rash. Patch tests test for chemical exposure: patch tests do not test for food or grass (natural environmental) allergies. The Skin Center has the expanded North American Patch Test (50 tests) as well as the special metal allergen tests (13 items). You may want to fill out the allergic history form and bring it in for your first visit. This detailed history helps outline all of your daily exposures and possible allergic risk factors. The specialized metal patch test series is designed for patients with suspected nickel allergies, those undergoing orthopedic procedures, or any surgery using metal implants. Who should be patch tested? 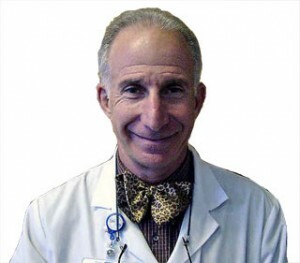 Individuals with recurrent, persistent, unresolved rashes who need a reliable test to diagnoses ther skin allergies. Patch tests are simple painless tests to figure out the underlying root cause. Please call your dermatologist for a referral, or call directly to The Skin Center at 949-582-skin to request a consultation and allergic patch test session.